Arn't they wonderful! 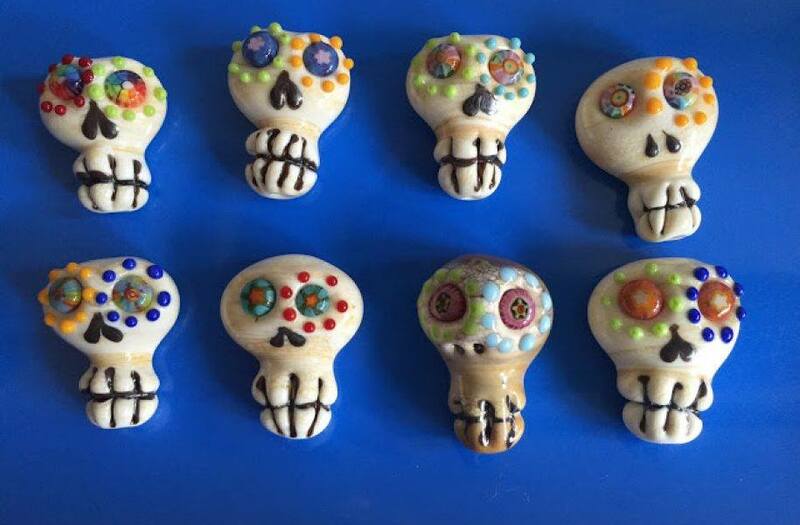 I choose the 3rd skull on the top row and almost (as always) forgot to photo it before crating. I love the colours on this skull and knew straight away what I wanted to do with it, which is unusual! 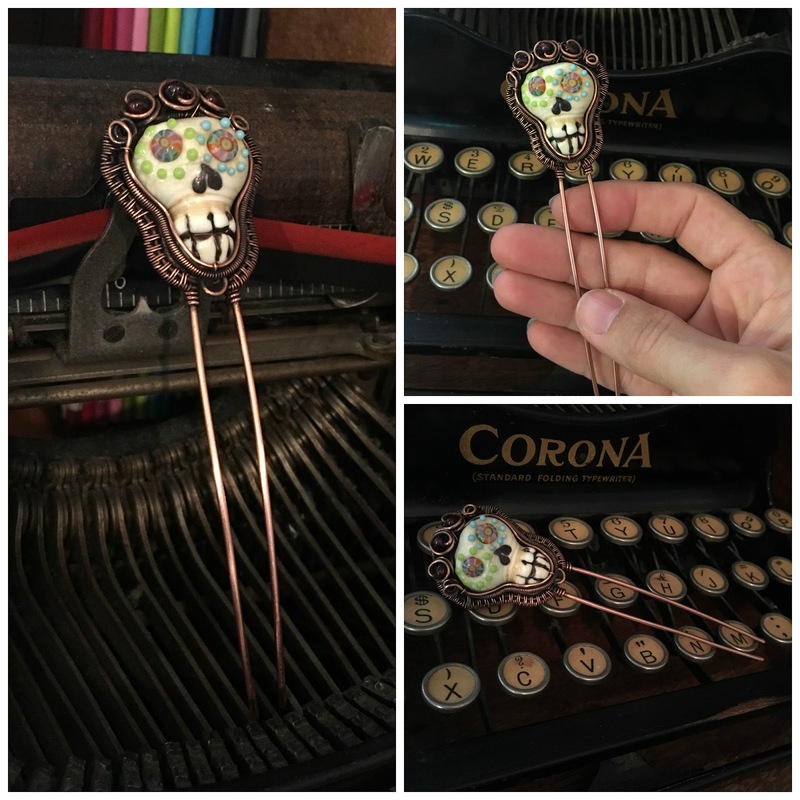 I could not help thinking that it was such a wonderful bright skull so I made it into a day of the dead inspired hair pin. Thank you Jen for the wonderful lampwork, and I am throughly looking forward to seeing what everyone else has created.